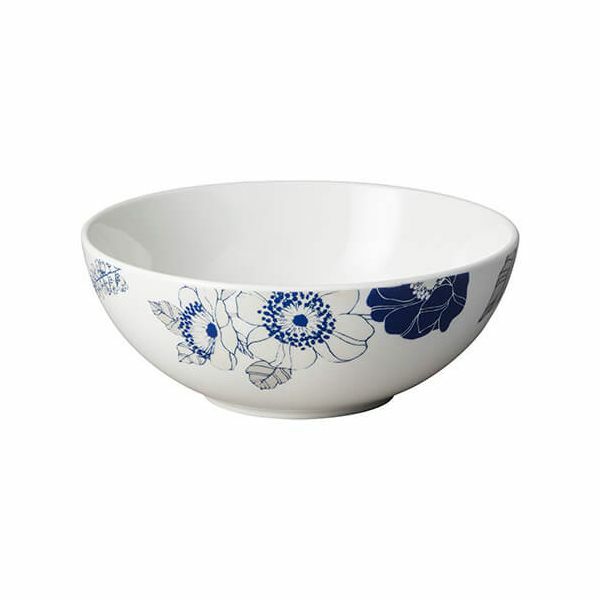 This Cereal Bowl from Denby's Monsoon Fleur collection is the perfect size for cereal or desserts. Featuring a delightful series of floral illustrations in Cobalt Blue and shimmering silver inspired by a pattern discovered in the Monsoon fabric archive. A contemporary collection that is beautiful for entertaining and versatile for every day use. Oven safe (for warming food up to 100°C), microwave, freezer and dishwasher safe.